K-12 IT Administrators are often faced with the daunting task of deploying hundreds or even thousands of Chromebooks in a very short amount of time to prepare for the upcoming school year. One at a time can be an exhausting undertaking while paying for white glove services can quickly become taxing on even the biggest tech budgets. 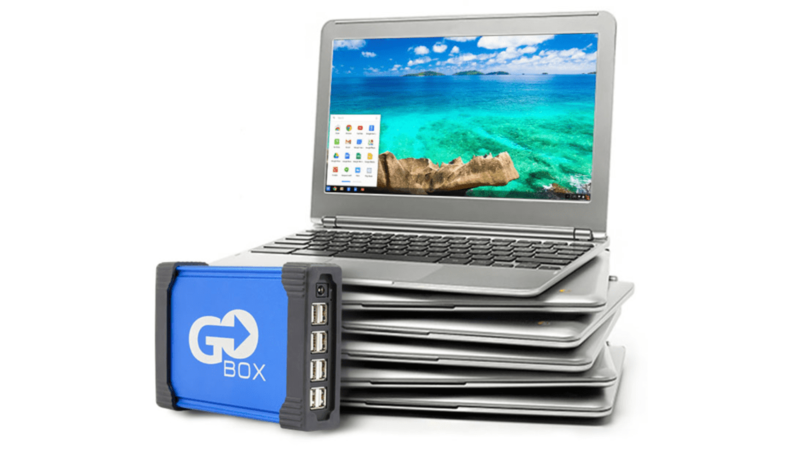 Go-Box Chrome is looking to help cut that cost and simplify provisioning Chrome devices with their all-in-one solution that is capable of configuring up to 16 devices at one time at a fraction of the cost of other services that can cost as much as $10 per machine. While there are less-expensive solutions out there, Go-Box Chrome looks to take the hassle out of mass deployment. If you have been or are considering white glove services for provisioning, head over to Go-Box first and check out their comparison tool and see how much your institution could save. 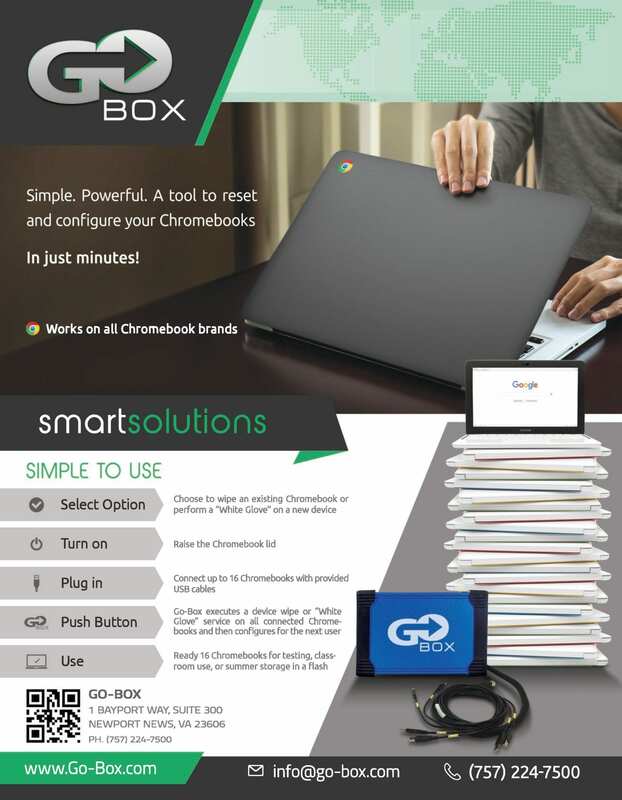 With Go-Box Chrome, you simply power on the box, connect Go-Box to Wifi then use the Chrome Web app to customize it for your school’s needs. 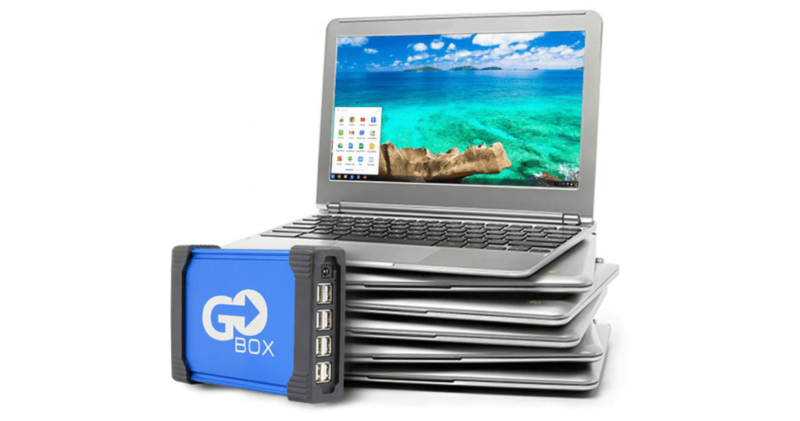 From there, connect up to 16 Chromebooks and let Go-Box do the work. The total cost to one Go-Box with a one year license is $1499 with an annual license renewal of $299. While that may seem like a lot, administrators and budget makers know how much the alternative can be. Go-Box is set up the annual FETC (Future of Education Technology Conference) in Orlando this week. If you’re in the are and would like to learn more, head by Booth #2515 and see what they have to offer. Tell them Chrome Unboxed sent you.